I had a couple students for tutoring this morning, and then I quickly changed into my running clothes and went to Rancho San Antonio. I was planning on doing some kind of easy workout yesterday, but I put it off until “later”… and “later” never came around. So having been fully rested, I decided to get in a trail run. Nice and long. No camera this time. Whoas. Weirdsies. My plan was to just run up and keep a steady and comfortable effort… and not walk. I was curious how far I could get without any breaks or any walking. I went up the Chamise Trail and continued along on the Black Mountain Trail. Of course, there were places where my pace would slow to a near-crawl, but I kept taking little steps up and did not walk. I didn’t walk until 6.78 miles, which was near the top. I was looking for where it connected to the PG&E Trail… and then I wasn’t even sure if it did… so when I got to 7.0 miles, I just turned around and back-tracked to the start. 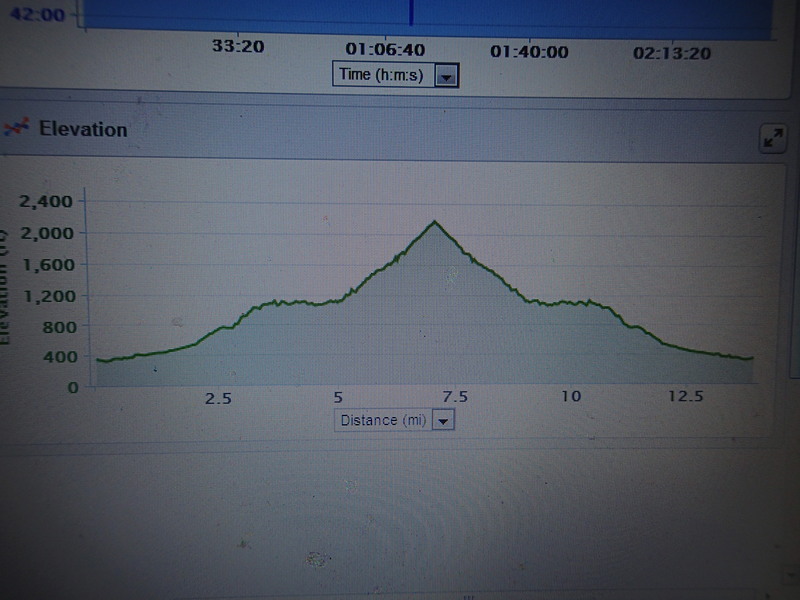 I pretty much only walked for perhaps a quarter mile of this run (at the very tippy-top). The rest was a run at the same effort (meaning instead of charging up a long hill and raising the effort greatly, I relaxed and let myself slow to a jog). Two years ago, I did a portion of the Chamise trail and was suffering. I had to walk several times and did not even run along the Black Mountain trail. To my surprise, I felt like I could have added a couple more miles at the end. Perfect long trail run. I didn’t want to go all-out and feel depleted. I did want to see how focused I could be on this run and challenge my mental strength in getting up to the top without breaks. 1. If it’s the first time on a trail, go with a friend (unless it is a fairly busy trail with lots of runners and hikers). 2. If you have been there before, and you are going it alone, give a copy of the trail route to your friend or family member and let them know around when you should be back. This might be a good idea if it’s a trail that does not get a lot of foot traffic. You never know if you’ll trip and get injured, or run into a rattler. 3. Sunglasses are awesome, in case there are bugs flying about or if it’s windy and dust is flying about (both of which happened today). Also, there are some random branches sticking out and it might ruin your day if you run into it with your eye. 4. SUNBLOCK. Apply plenty of it… if not to protect yourself from the sun’s radiation, then from aging skin and wrinkles. 5. Try not to listen to music on trail runs. It’s important to be aware of your surroundings and other runners who are trying to pass you. Plus, you will be less spooked when they run by you. There are probably a lot of other things I’m not considering. Any other trail run safety tips you want to add? Hope you had a wonderful Tuesday! (For whenever you start your studies, if you find out anything really interesting, let me know! ).